When you are searching through used cars in Olympia WA, small repairs such as a broken windshield wiper arm shouldn't be a deal breaker. This type of repair is quite easy and inexpensive to fix yourself and is a useful thing to know how to do because it is a general maintenance repair for most cars. 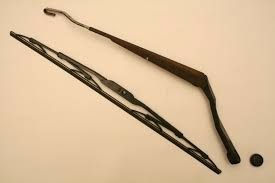 You may need to do replace a wiper arm if it has become bent or damaged from snow or ice, which is common during the winter in Olympia WA. You may already have most of the tools if you need to change your wiper arm, especially if you are familiar with used cars. You will need a flathead screwdriver, socket set, 3/8-inch ratchet, and a thick cloth. You may need to open the hood to remove your wiper arm. Check to see if you have windshield washer plumbing lines attached to the arm. Unclip them from the arm and push to the side while you work. Locate the snap-down cover at the bottom of the wiper arm. Pry the cover off with your flathead screwdriver. Remove the nut under the cover with your ratchet. Place your cloth between the windshield wiper and your windshield to protect it from damage. Using your screwdriver, pry the wiper arm off from the splined spindle you just removed the nut from. You are now ready to install the new wiper arm. Remove the cloth and carefully put the new arm on. Be sure to put it in the same position that the old one was in. Put the spindle nut back up and tighten it with your ratchet. Replace the cover and if applicable, reconnect the window-shield washer lines. Test the wiper arm and make sure it is working. For the best and largest selection of used cars in Olympia, WA, visit the Olympia Automall.